The special audit report (2005) and the AusAID funded study (2010) point to challenging fiscal infrastructure within DepEd -ARMM and have set out recommendations which are relevant today. “Out -of-box” salary release and more check and balance mechanisms to arrest slippage from several sources (Oplan LP) and as a result of a freeze order to hold the finances and accounts of the ARMM government had resulted to savings for DepEd-ARMM. The current payroll database is vulnerable and will have to be improved either through a windows-based system and connected to the HRIS; the WB-AusAID Public Expenditure Institutional Review (PEIR) interventions which has already completed its 1st phase is a significant reform initiative to the overall fiscal health of the department; and fiscal processes will have to be improved according to existing accounting and auditing rules and regulations. 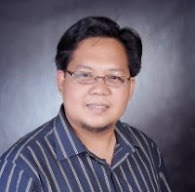 Under the WB-AusAID Public Expenditure and Institutional Review (PEIR), a study has been undertaken and two consultants are assisting DepEd-ARMM in improving its payroll and Human Resources Information Systems (HRIS); and in developing its operations manual. We have since and continue to purge the payroll and plantilla of ghost and overstaying personnel. For the past eleven months of this administration, DepEd-ARMM is consistent in being the earliest region to submit its remittances to the Philippines Public School Teachers Association. As a result, ARMM teachers are now allowed to an increased loanable amount. Aside from the Basic Education Facilities Funds (BEFF) and the regular MOOE of secondary schools and division offices, DepEd -ARMM office had provided repair and maintenance assistance for 77 schools in the province of Maguindanao for this year. Other schools from other provinces will also avail of this program in 2013. A total of eighty-four thousand one hundred sixty-six (84,166) assorted teaching-learning supplementary materials were procured and currently being delivered to school-beneficiaries. CVIF Smart Foundation donated 800 assorted books for ARMM secondary schools and elementary books aside from those that were separately donated to the 85 elementary schools in Basilan and Lamitan. At present, DepED-ARMM is waiting for Two (2) Twenty-footer Container Van of Textbooks donated by Asian-American Initiative (AAI). Pisara ng Pagbabago Project Realizing the lack of the most important teaching equipment, blackboard, DepEd-ARMM procured 1,000 blackboard for each province and had just delivered the allocation for schools under the Province of Maguindanao to be followed immediately by the delivery to Lanao del Sur, Basilan, Sulu and Tawi-Tawi. For the island provinces, chalks and erasers were also given to some schools. DepEd-ARMM also supplied its 2,473 schools with one Philippine Flag and one ARMM ag. 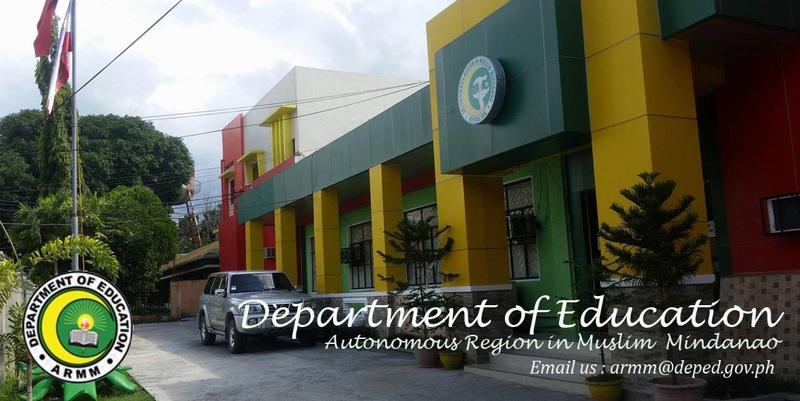 DepED-ARMM recently entered into a MOA with the Philippine Marines for the rehabilitation of Sulu SPED Center last November 18, 2012, where an initial amount of Two Hundred Thousand Pesos was allotted. This coming school year, we hope to establish a SPED Center in each province. DepEd-ARMM through its “Kulayan ang Paaralan” Project, in partnership with AusAID and other ARMM line agencies, sponsored around 100 schools for repair and improvements. Five hundred one (501) schools were recipients of SBM of the 2011 Grant that amounted to P25 million pesos. Individual checks were released by the regional governor to the school head beneficiaries. A similar amount under the 2012 SBM Grant will be released early next year, following a successful liquidation of the grants received. At the start of Hataman’s administration, only Two Hundred Forty Six (246) out of the 299 National High Schools have MOOE in the amount of Four Million Eight Hundred Thirty Six Seven Hundred Twenty Eight (Php 4,836,728.21). Since December 2011, Nineteen (19) more schools were given MOOE and were now releasing Seven Million Nine Hundred Thirty Six Nine Hundred Sixty Four (Php 7,936,964.15); and by 2013, each NHS will already have their respective MOOE. Consistent with its support to the high schools and districts, an increase in the monthly MOOE of all divisions was approved by the regional secretary. A previous monthly MOOE of divisions amounting to ONLY P1.6 Million was increased by 100 percent doubling the allocation to P3.2 Million. Based on the MoA signed with GSIS, DepED-ARMM already encoded 99% of its personnel service records. Eventually, the Office of the Regional Governor and the DepED-ARMM is hopeful that by the end of the year, a MoA with the DBM on settling GSIS obligations will be signed. DepED-ARMM has completed in a single payment transaction the Marawi City GSIS obligations amounting to P5.4 million and P4.0 million for Basilan account. Currently, we are still paying around P1.0 million for the interest of the Basilan account. To save ARMM Teachers from further victimization of loan sharks and lending institutions, DepED-ARMM entered into an agreement with the Land Bank of the Philippines to Buy Out Loans and/or Emergency Salary Loans at a maximum amount of Three Hundred Thousand Pesos at an effective interest rate of 7.14% per annum to permanent teachers. Selective and misapplication in the adjustment of step increments had resulted to injustice and demoralization of teachers especially those who have been in the service for some time. An order was issued to rectify the step increments. A Memorandum Order is issued in December to effect the payment of back-pay claims for the year 2012. The first convergence meeting with DepEd CO was in April 2011 at the start of this school year to align the DepEd-ARMM programs to that of the national program on education. Another convergence meeting was held in December. In compliance with the national policy on K-12 curriculum implementation, which form part of the 10 point education agenda of the president, DepED-ARMM conducted series of teacher training for both elementary and secondary. This school-year’s implementation of the K-12 curriculum commenced with the Grades 1 & 7. In preparation, we have trained three thousand two hundred and forty-five (3,245) Grade 1 teachers and one thousand eight hundred and ninety-one (1,891) grade 7 teachers to implement the new K to 12 curriculum. A P20-million support funds for the reproduction of teaching and learning materials were downloaded to the division offices.